On Saturday, I met up with Mark and we drove to Lake Como Road. 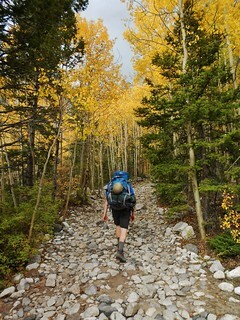 Our destination was Little Bear; a much feared or admired (depending upon your perspective) 14er in the south end of the Sangre De Cristos. In a prior trip, I did not climb it because of bad weather, so I was hoping to get a good window this time. Unfortunately, on the way up to Lake Como, the skies opened up on Mark and I. We took shelter in the boughs of an evergreen and used a tarp to stay mostly dry. We waited for nearly an hour as hail, lightning, and thunder boomed. Finally, it let up long enough for us to make it to the lake. 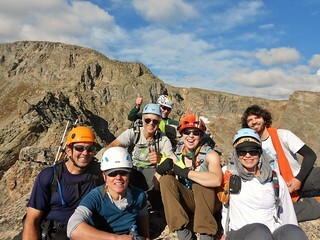 On Sunday, as part of the Rocky Mountain National Park Centennial Celebration, I led a Colorado Mountain Club Trip to climb Little Matterhorn. We were six intrepid hikers looking for a good scramble. 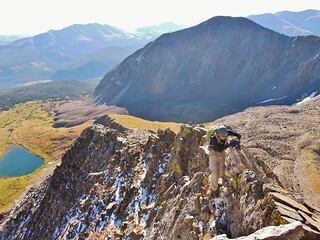 Since Little Matterhorn is featured in Dave Cooper’s Colorado Scrambles book; I was excited for the challenge! 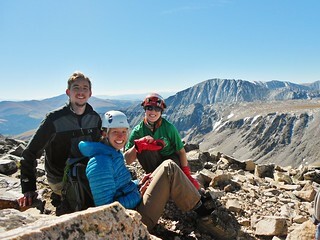 This year, the CMC is attempting to climb the 100 highest peaks within RMNP, over the course of RMNP’s 100th Anniversary. 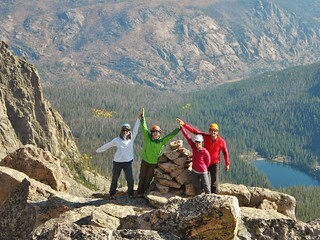 Thus, CMC trip leaders were encouraged to pick a peak (or several!). Along with Little Matterhorn, I picked Mt. Meeker and McHenrys Peak. 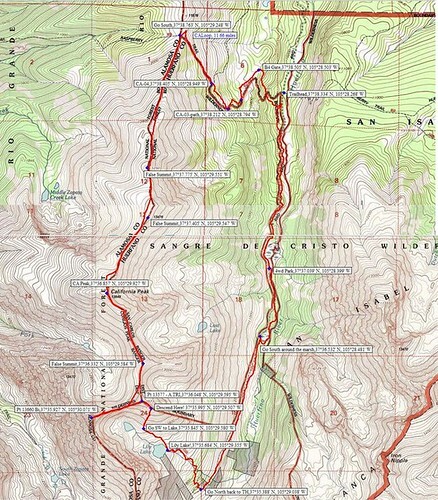 In the Colorado Scrambles book, Mr. Cooper touts the climb of Father Dyer as, “a good introduction to the “art” of scrambling, offering some exposed but not sustained climbing and even a bit of loose rock to initiate the budding scrambler.”. 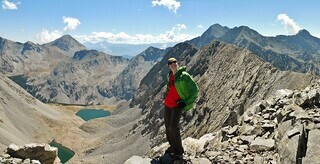 Mountaineering – California Peak (13,849 ft) and Bonus 13ers! 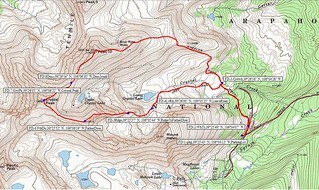 Our loop hike on California Peak! After having to cancel my CMC trip for Mt. 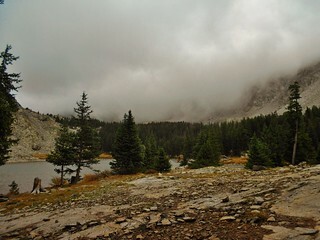 Meeker, due to heinous weather, I was left with a blank slate weekend. What should I do? So many mountains to climb…how do I decide? At the height of my mountain frenzy, I get an email from Frank and he suggests California Peak. Neither of us have done it, he’s been to the area and is willing to drive, we can car camp and don’t have to get up early, it’s…Perfect! You are currently browsing the climbergirl blog blog archives for September, 2014.